ECU students have the opportunity to study for one or two semesters at an overseas exchange partner and gain credit towards their ECU degree. 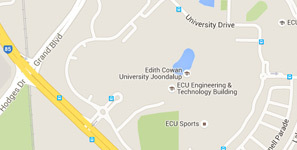 Likewise, our partners' students can undertake an exchange at ECU and receive credit at their home institution. We have around 100 exchange partners in 36 countries – further details can be seen below. The International Portfolio is responsible for strategic leadership in Exchange partnerships. An Agreement for Student Exchange and Study Abroad will normally be for five years and will allow for two students to exchange per year between institutions without paying tuition fees.